The Renaissance was a period in history between the 14th and 17th Centuries, associated with a wave of new artistic, scientific and cultural achievements. The French word renaissance literally means ‘rebirth’, and was first seen in English in the 1830s. The Renaissance is seen as a period of rebirth from the Dark Ages of Europe to the more enlightened and progressive ages of Europe. The century before the Renaissance was particularly dark with the Hundred Years war (1337–1453) devastating much of Europe, the failed Crusades and also the Black Death (1346–1353) killing about 25 million people, 33% of the population at the time. However, some academic scholars feel the term ‘Renaissance’ is too vague and the ‘Renaissance years’ were not particularly enlightened. Some scholars feel that the Renaissance was more accurately part of a ‘Longue Duree’ of European history. The Renaissance period still saw real problems, such as religious wars, political corruption, inequality, witch-hunts and corrupt Borgia Popes. Most people who lived through the Renaissance did not view it as a ‘Golden Era’! The Renaissance was a period of groundbreaking explorations, with the discovery of new lands outside Europe by famous explorers, such as Christopher Columbus and Vespucci. The Renaissance was also a period of scientific discovery. Galileo Galilei and René Descartes (1596–1650) promoted a new view of astrology and mathematics, which challenged old Aristotelian ideas. N.Copernicus began the process of changing the whole view of the world. 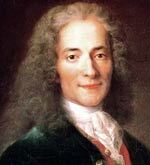 He argued the Sun was the centre of the galaxy rather than the Earth. This heliocentric view of the world was controversial because it challenged the existing teaching of the church. But, during the Renaissance, this heliocentric view gradually came to be accepted. The Renaissance was most strongly associated with Italy and Florence in particular. But most other European countries had their own Renaissance. For example, The Netherlands developed its own Renaissance revival of painting, including Jan van Eyck. The artistic style of the Netherlands later had an influence on Italy. The English Renaissance began later, in the late 15th Century, and was focused more on literature and music – less on art. 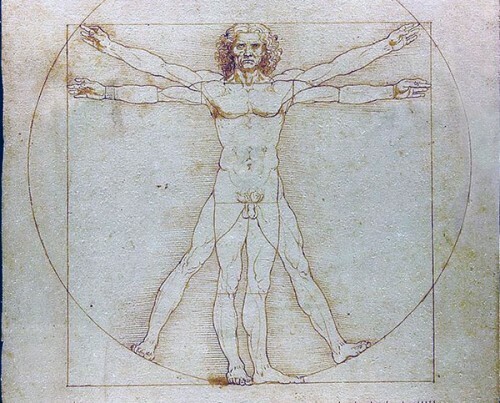 Leonardo’s famous portrait of the perfect man was based on Vitruvius’ De Architectura (1st century BCE) – mostly a treatise on architecture, but also the human body. The ceiling of Sistine Chapel was commissioned by Pope Julius II, and painted by Michelangelo. 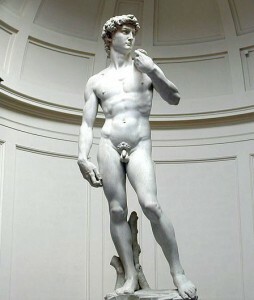 ‘David’ by Michelangelo is one of the great masterpieces of the Renaissance. It symbolises the defence of the civil liberties of Florence, with the eyes of David turned towards Rome. 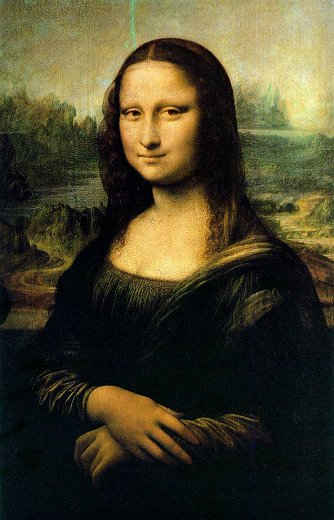 The Mona Lisa by Leonardo da Vinci is perhaps the world’s most famous painting. Da Vinci worked on the painting continuously for over 20 years – striving to attain perfection. ‘Sfumare‘ was a new painting technique of the Renaissance; it means to evaporate or to fade out. It was developed by da Vinci and enabled greater depth and realism to be given to a painting. The term chiaroscuro refers to the fine art painting modelling effect of using a strong contrast between light and dark. 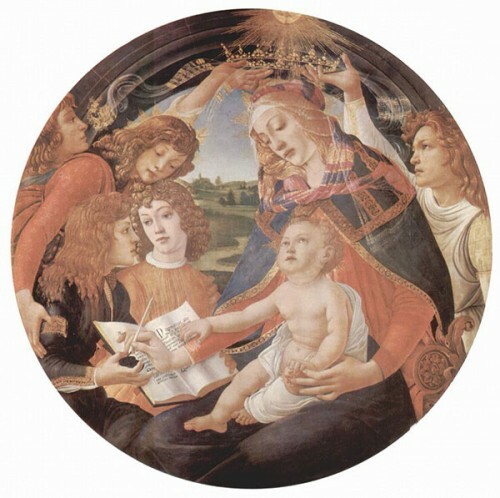 Sandro Botticelli portrays the family of Piero de’ Medici in Madonna del Magnificat. The Black Death decimated the population of Europe in the 14th Century but left survivors with relatively more wealth and ability to climb social/political structures. It led to a decline of feudalism. New political structures – with new men in positions of power, patronage of the arts was a way to secure greater status and prestige. This new political order led to the patronage of the powerful and wealthy Medici family in Florence, who could afford to give commissions to artists. Migration of Greek scholars and texts from Constantinople to Europe after the conquest by the Ottoman Turks (1453). Creation of the printing press by J.Gutenberg c.1440 allowed greater printing of books and the spread of knowledge to a wider range of the population. This was particularly important for printing of Bibles, including for the first time Bibles in English and not Latin. New secular/humanist ideas. Thinkers like Plutarch (1304–1374) and Erasmus (1466–1536) helped make classical texts and humanistic ideas more relevant and popular to a Christian society. Artistic genius of people such as Leonardo da Vinci, Michelangelo and Raphael. Greater openness of the Church. 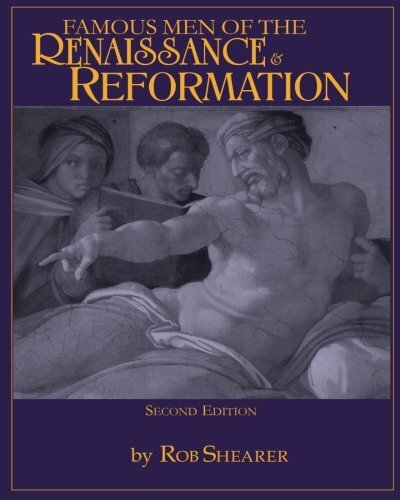 In response to a decline in the temporal power of the Catholic Church, the Vatican sponsored more arts and reforms as part of the Counter-Reformation in response to the criticism of Luther. Pope Nicholas V and Leo X sponsored many Renaissance art projects as a way to bolster the church. Greater trade between Italy and the rest of Europe. Also, ironically, the wars between Italy and France helped spread Renaissance ideas. The Crusades led to the exposure of many European scholars to Eastern ideas; it also facilitated the growth of trade and commerce. Citation: Pettinger, Tejvan “Facts of the Renaissance”, Oxford, UK. 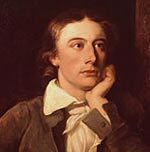 www.biographyonline.net, 12th February 2016. Updated 26 June 2017.